The third Splatfest has finally been officially confirmed in Japan. It’s taking place from October 14, 2017 13:00 to October 15, 2017 13:00 Japan Time. As for the theme for the third Splatfest, it’s Agility versus Endurance. Last week, a few users received notifications about the third Splatfest in Japan. While the theme of the Splatfest itself was accurate, the date and time were inaccurate, as Nintendo sent out these notifications “by mistake”. 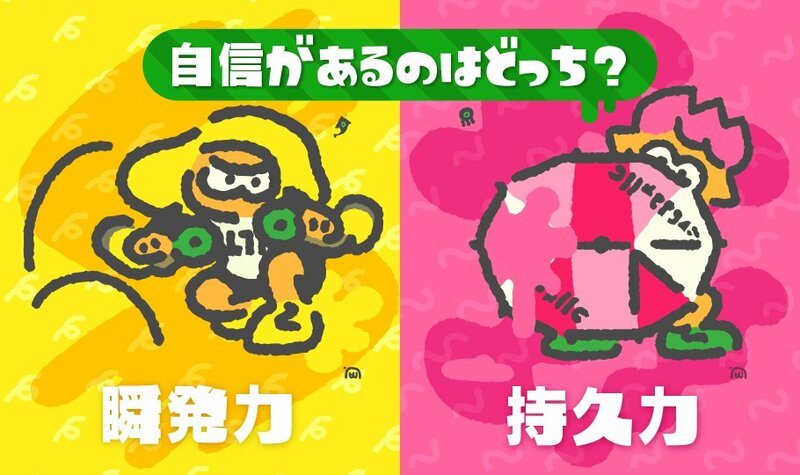 In any case, get ready for another Splatfest, Japanese Inklings!